Your reputation will be tied to the quality of their work. When interviewing a home builder, take advantage of this one-on-one opportunity to get information and feedback that you just can't get anywhere else. To break the ice, deal with less sensitive topics. Asking him about his business practices is a good place to start. Hopefully, having established a rapport with the builder by first having him field questions about more objective and less personally challenging issues, you can move on to talk about financial, legal, and, indirectly, ethics issues. When you get together with the builder, be observant. A builder once told me that you can learn a lot about a builder by looking inside his truck. What you get is a glimpse of how the builder operates. Is the interior neat and clean, or dirty and trash-strewn? If you meet at the builder's office, notice how clean and organized it is. Draw your own conclusions. This isn't a make-or-break criterion, just another bit of insight. •What kinds of homes is he most experienced in building? •What is the size, style, and price range of the homes he most typically builds? •Does he consider himself to be a specialty home builder? If so, what is the specialty? •How flexible is he in the kinds of homes he builds? Does he build homes only from his own sets of plans? Does he build customized versions of homes from his own sets of plans? Does he build only custom homes? •Will he build a home on your land or must you buy one of his lots? How well does his experience match up with your needs? •How long has he been a general contractor building new homes? How long has his current business been around? If those two time frames don't match up, find out why. •Has he built homes under a different business name? If so, what happened to that business? •How long has the builder been working in this local area? A builder's answers to these questions will give you a sense of the stability of his business and the strength of his ties to the local area. •How big is his company? •Does the builder own his own company or work for another company? •If he works for another company, what is his relationship to that company? A local builder may have allegiance to the local area that a salaried employee of a national building company may not. On the other hand, a company affiliated with a national home construction corporation may have access to materials and manpower resources in times of tight supply that a local builder may not. •How many homes does he build each year? •How many homes does he have going at one time? •What is the geographic range in which he does business? •Where will your project stack up in his list of projects? Information you learn here will give you a sense of how far the builder stretches himself and his subcontractors. •How long have each of his subcontractors been working for him? •Does he always use the same subcontractors? If not, why not? •How many sets or crews of subcontractors does he employ at one time? •Do all of the subcontractors work exclusively for this builder? Which ones do not? •How does the builder deal with work done incorrectly by a subcontractor? •What would cause the builder to remove a subcontractor from a job? Has this ever been necessary? If so, what happened? •If it turns out that you have a serious objection to using any one of his subcontractors prior to the start of the project, what flexibility does he have to use another subcontractor? •Which subcontractors does he use for the major tasks like excavation, concrete work, framing, plumbing, electrical, drywalling, finishing, painting, roofing, siding, etc.? The answers to these questions help you understand the builder's relationship to his subcontractors. A high turnover of subcontractors might be a concern. Blind loyalty to poorly performing subcontractors is also undesirable. If the builder will share them, get the names of subcontractors' companies. Check them out just as you checked out the builder's company through a background check. •How firm is the completion date the builder provides? •How often does he encounter significant project delays? Can he provide a recent example or two? •When he has encountered delays, what is most often the cause? •When he knows a significant delay in the home completion date is inevitable, how does he work with his clients to manage the situation? Construction delays are unpredictable and can be caused by many things over which builders have no control. Inclement weather, poor availability or materials, and unforeseeable subcontractor problems are good examples. How often does the builder experience significant delays that are preventable? A builder's responses here allow you to gauge his humility and pragmatism. If a builder tells you he never experiences significant delays, be suspicious. On the other hand, you don't necessarily want to hear that a builder will do whatever is necessary to finish the home on schedule. When some aspects of construction are rushed, quality may suffer. •Does the builder have liability insurance that covers his construction work? What is covered? •Is he willing to show you his insurance certificate? •What other insurance, if any, does he carry that will cover your project? Ask him to explain in general terms what the coverages are. You may want to consider taking out Builder's Risk insurance on your own. If you are serious about a particular builder, get a copy of his boilerplate contract to take home with you. Review and scrutinize this document carefully. It represents a serious commitment. If the builder does not use a contract - unthinkable in today's business environment, find another builder. Keep in mind that the builder's contract is drafted to protect his interests. The finished contract - the one you sign, when properly revised, protects not only the builder's interests, but yours as well. Because the next segment of the interview focuses on potential hot-button issues, a segue is appropriate. Transition into the next portion of the interview by letting the builder know that he is definitely in the running to be your builder. Explain that you have narrowed down the field of candidates to just a select few, and he is among the finalists. Perhaps, even tell him how many builders remain on your list. Inform the builder that you need to ask a few questions about his financial health and court actions (if indeed you identified any through the background check you ran) to help you make this important decision. You realize that these issues may be somewhat uncomfortable to discuss, but they are too crucial to leave unaddressed. It is your responsibility now to approach this next section of questioning with empathy and respect for the person sitting across the table from you. Try to appreciate how uneasy he may feel handling these questions. No one likes their finances pried into by strangers. Having said that, you do owe it to yourself to get straight answers from the builder on these very important matters. You can ask a builder for a copy of his credit report and credit score. That request will not likely be warmly received, as you can imagine. You can ask the builder directly, "How do I know your business is financially sound and that you will finish the job?" The answer you get may be honest, but probably not very reassuring in today's volatile economic environment. You want hard data, if you can get it. If you have not already obtained a copy of the builder's credit report and credit score online as part of a background check, you may want to consider doing that. If you elected to run the credit report before interviewing the builder, see if his answers agree with the information in the report. Mechanic's liens are another indicator of a builder's financial health. When the builder who is constructing your home does not pay his materials suppliers or subcontractors in timely fashion, those suppliers and subcontractors may be entitled to put a lien against your property - that is, your new home, to recover payments due from the builder. As infuriating as this may seem, this is the law in most states. Ask the builder if he pays his contractors, subcontractors, and materials suppliers on time. Furthermore, ask him if any of his clients have had mechanic's liens filed against their property stemming from work that he had done for them. Consult a lawyer! When doing your background checks on the builders, you may have discovered court actions against a builder that you would like to ask him about. Perhaps there were past, current, or pending judgments, tax liens, or bankruptcies you worry may have ethical implications or impact his current financial standing. Now is the time to pursue those issues with him. Keep in mind, however, that not every legal issue is one that should scare you off as a potential client. Give the builder a chance to explain the matter then make your decision. Well, you've explored the most sensitive issues with the builder and you both survived. Whew! Let the builder know that you acknowledge that these were tough issues to discuss, but were nonetheless important to your decision-making process. Now you can move on to a topic about which the builder can feel some pride - his references. Ask your builder for three to five recent references. Ask him what, if any, noteworthy problems or contentious issues cropped up during the construction of each of their houses. If the builder is on his game, he would rather alert you to those issues himself rather than have you find out about them for the first time from his former clients. Depending on how busy the builder is, his list of references may go as far back as two or three years. Lack of fairly current references may be a red flag. If that's the case, find out why. If a builder cannot provide client references, you have a decision to make. Do not automatically exclude a builder for lack of references. If he is a new general contractor, he may not have completed enough projects from which to generate references. Everyone has to start somewhere, and just because he is new does not mean he is not a good builder. If a builder cannot provide former clients as references, ask for other business and personal references that you may contact. What you need to consider is whether or not the other information you can collect about him makes you feel comfortable enough to go with him. When you are interviewing builders, ask them at some point about their competitors - specifically, the other builders you are considering. An ethical builder will not trash his competitors or share unfounded gossip about them, but may share factual information about them that you may not hear elsewhere. One interesting question you may choose to ask your home builder candidates is: What would cause you to pass on me as a new client? If, at the close of the interview, you still feel good about the builder, schedule a time so he can give you a tour of at least one or two of the homes he is building. On the tour, take your time. Ask lots of questions. In a perfect world, it would be nice to have the chance to tour at least one home under construction and at least one that is finished. You get to see very different aspects of a builder's work that way. During your tour, if one of the subcontractors is on-site, strike up a brief conversation to see what you can learn. Ask the builder how he prefers you contact him if you think of additional questions later on. Based on the preliminary contacts you have with the builder, is he someone with whom you think you can work? Under stress, people's worst behaviors can be magnified. 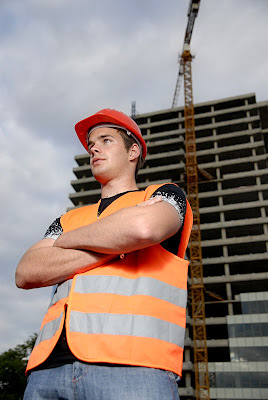 Something about the builder's personality that makes you a bit uncomfortable now, may anger you when you run into challenges during construction. And those challenges are inevitable. If you sense a major clash of personal styles, trust your instincts and find another builder. Does the builder listen attentively? That will be a critical attribute during construction. Whenever you talk to him, especially when there is a problem to discuss, you need to feel that you are being heard. Analysis: What Did You Learn? Now that you've finished your interviews, you have to figure out what you learned. Collect the information you gathered during the interviews. If it improves your decision-making process, create a simple chart to compare builders' responses on the attributes you consider most important. Spend some time with the data. Mull it over. Don't be rushed into a hasty decision by an impatient builder. Get input from family and close friends. Make a great decision! Now that you have narrowed the field to just one or two home builders, it is time to check references. Get on it!